Since St.Patty’s day is right around the corner I figured I would share this delicious recipe with you again. St. Patrick’s day is upon us. This recipe is great for the festivities. Guinness is a great stout beer with which to cook. 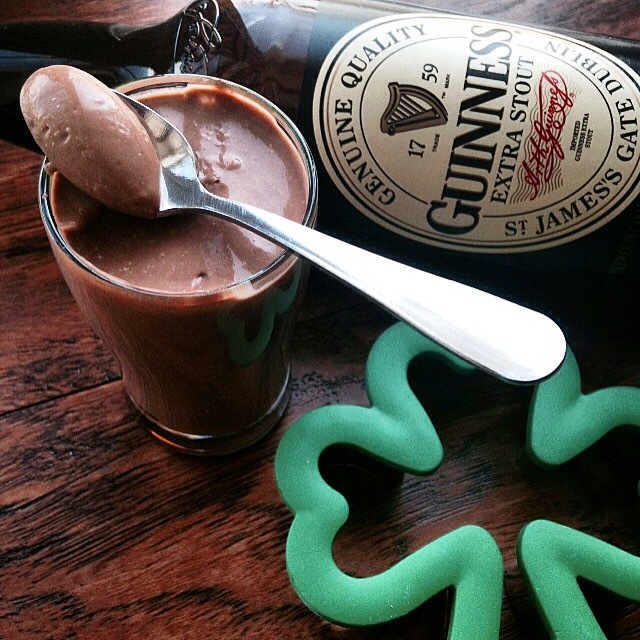 The flavors of chocolate and beer really compliment each other in this pudding. Making pudding from scratch isn’t as complicated as some may make it seem. Get ready to enjoy some great flavors. In a medium bowl whisk together eggs and sugar. Add half of beer to mixture and stir. Set aside.